Prime Minister Shinzo Abe’s coalition partner warned that a proposal to broaden the military’s role to strike back against enemy attacks risks upsetting Japan’s neighbors. Yamaguchi, 64, was responding to questions about how Japan should bolster its defenses against a potential ballistic-missile attack from North Korea. The country launched its latest missile earlier that day. His remarks indicated that Komeito might be reluctant to back a proposal made by Abe’s Liberal Democratic Party in March to give Japan the capacity to strike back against an enemy base following any attack. The nation has never obtained the means to carry out such a strike, partly out of concern it would revive memories of its wartime aggression in the region. The fiscal constraints of the aging and indebted country must also be taken into account when considering such a move, the Komeito leader added. Any bolstering of the military to gain offensive capabilities could be costly: the LDP group has said obtaining cruise missiles would be one option. Japan has maintained a defense-only stance since introducing the U.S.-drafted pacifist Constitution 70 years ago. While it maintains the Self-Defense Forces to protect its territory, it has so far avoided arming itself with planes and weapons capable of destroying an enemy base overseas, instead relying on the U.S. “nuclear umbrella” to deter potential threats. Yamaguchi said North Korea’s provocations seemed to be prompting a renewed Chinese interest in dialogue with Japan, despite disagreements over territory and history. Chinese State Councilor Yang Jiechi is visiting Japan, where he met with National Security Council chief Shotaro Yachi and Foreign Minister Fumio Kishida earlier this week. Yet neither Abe nor Chinese leader Xi Jinping have made a bilateral visit to the other’s country since Xi took office. Thawing ties with Japan’s neighbors could be threatened by Abe’s sudden announcement of a plan to change the pacifist Constitution by 2020 to clarify the legitimacy of the SDF. Both China and South Korea have urged Japan to abide by the document’s war-renouncing principles, even as the U.S. pushes its allies to take on a greater share of their defense burden. 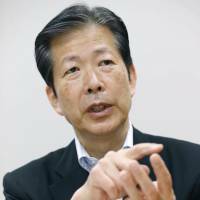 Yamaguchi said his party would monitor the constitutional debate within the LDP after Abe surprised many by proposing the revisions, having dropped a more drastic overhaul drafted by the main ruling party in 2012. The timing and content of any referendum on constitutional change should be controlled by the Diet, he added. 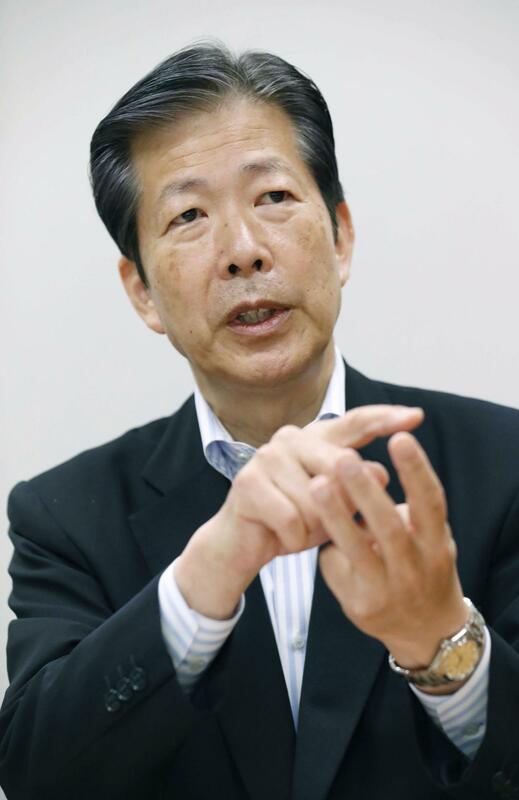 The Komeito leader also said there has been skepticism within his party over the need to go through with any changes.